CALGARY, ALBERTA - Sam Bennett scored twice, including the game winner, in a three-point outing and James Neal had his first multi-point game for the Flames as host Calgary erased four different deficits to beat the Detroit Red Wings 6-4 on Friday. The Flames tallied three power-play goals and a short-handed score, and scored four times in the final period. 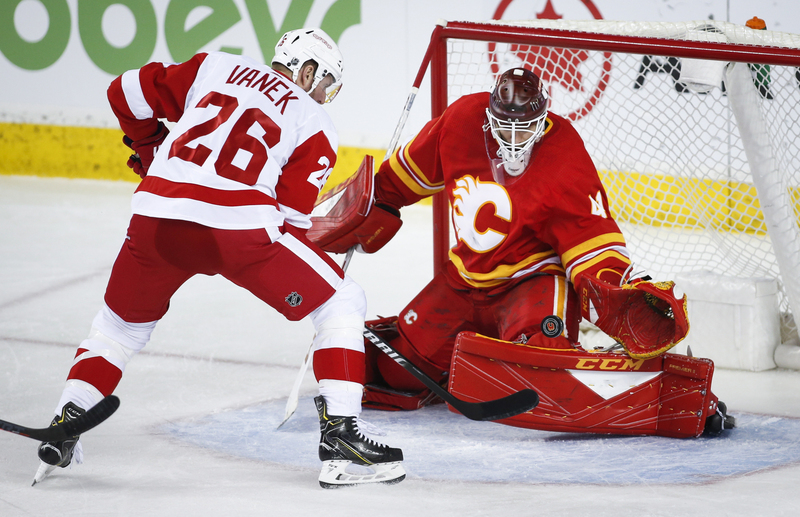 Goalie Mike Smith made 31 saves in the wild win that has Western Conference-leading Calgary on a 6-0-1 roll. In Washington, Josh Bailey and Cal Clutterbuck scored third-period goals, Thomas Greiss made 19 saves and New York blanked the Capitals in Barry Trotz’s return to Washington to move into first place in the Metropolitan Division. Trotz’s Islanders have won four in a row and 14 of 17 games to leapfrog the team he coached to the Stanley Cup last year. They held Washington under 20 shots and improved to 7-0-0 in the second half of back-to-back sets this season. In Glendale, Arizona, Phil Kessel scored on a power play at 4:09 of overtime, Matt Murray stopped 30 shots and Pittsburgh beat Arizona. In Sunrise, Florida, Mike Matheson scored the winning goal and the Panthers defeated Toronto to snap a seven-game losing streak.